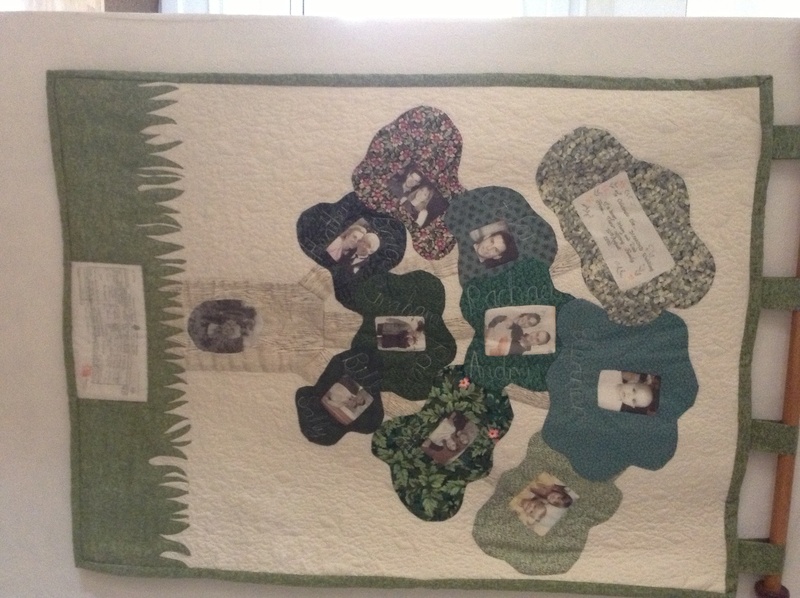 Here's a picture of my family tree quilt. I used the pattern "Roots of the Past" designed by Cindy Gravatt for Cedar Creek Designs. I used my parents as the two main people with their ancestors going to the top of the tree. My brothers and I and our families are below Mom and Dad. This was done before treated photo fabric was available so all names, dates were printed onto an iron-on clear plastic material which was then fused to fabric. I didn't think I'd ever finish ironing all those names on. I used a different green leafy print for each family; ie. me, my husband, kids and grandkids were one print, my brothers each had different prints for their nuclear families, same for the ancestors' families. It was a lot of work, but would be much easier now with the printable fabric available. Awesome! You're right the printable fabric makes life a lot easier! This is the one I made for my parents 60th Wedding Anniversary in 2000! They were married 10th August 1940 (73yrs today!!) and we're together happily married for 64yrs!! They are greatly missed but this now hangs in my hallway so I 'see' them everyday!! Marytoddliz did one which had many branches then she sewed like oak leaves on the branches with the names embroidered on each one. It came out very pretty with different colored leaves representing different sides of the family. Have you tried searching pinterest.com for ideas? 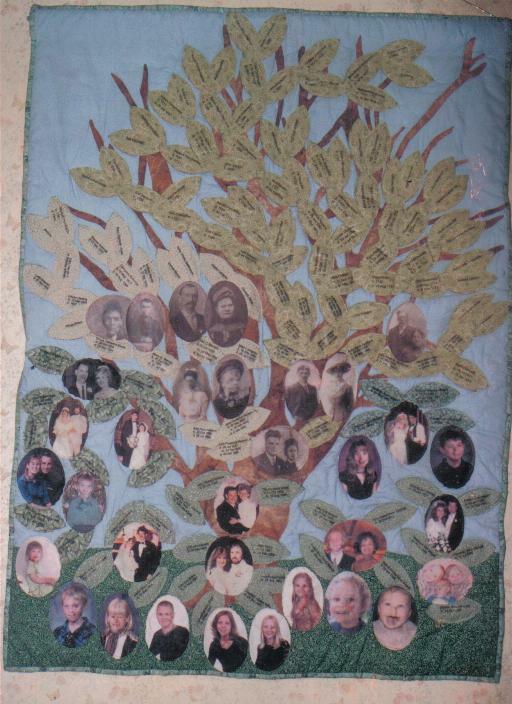 type in family tree quilt you will get quiet a few I think.